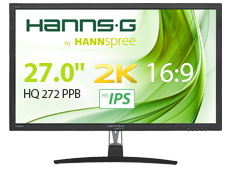 The new HQ272PPB supplements the HANNspree series of performance monitors. Offering affordable, high performance graphic computing in a stylish desktop design, the new 27inch HQ272PPB features; a WQHD resolution, HS-IPS and HANNspree’s active contrast ratio display enhancing technologies, extensive connectivity, a competitive price tag and a contemporary stand. With a 2560 x 1440 (Quad HD) resolution, this 27inch monitor offers superior picture quality for demanding, graphic intensive applications and provides more work space compared to conventional FHD monitors. The HQ272PPB panel has an increased pixel density (109 pixels per inch) delivering super sharp, crisp images, and over 77% more display area for wide documents and large pages, plus enables games and movies to be enjoyed in their original size and 16:9 aspect ratio. The HQ272PPB’s large 27” display also features display enhancing technologies. Picture perfecting HS-IPS technology delivers super wide viewing angles that minimize colour shift on both horizontal and vertical planes to ensure high quality visuals from almost any direction, whilst HANNspree’s proprietary active contrast technology, designed to deliver both unrivalled clarity and impressive true colour, promises excellent picture performance for demanding graphic content every time. For convenient ‘perfect’ picture pre-set for a variety of applications, such as Movie and Game, the HQ272PB offers an easy to use settings menu of intuitive picture modes. This highly amenable monitor offers a host of connectivity options. Two HDMI ports, a Display Port and a Mini DisplayPort for native WQHD provide seamless connectivity with PC and AV equipment. The HQ272PPB also has twin built-in stereo speakers that provide quality audio for music, movies, games and video conferencing without the hassle and expense of connecting external speakers. Don’t want to disturb anybody? Plug a headset into the headphone socket and turn the volume up. A stylish, desktop design includes a contemporary stand with tilt ability. In addition, VESA support enables wall mounting for flexible eye level positioning when desk space is restricted or to compliment minimal interior design. 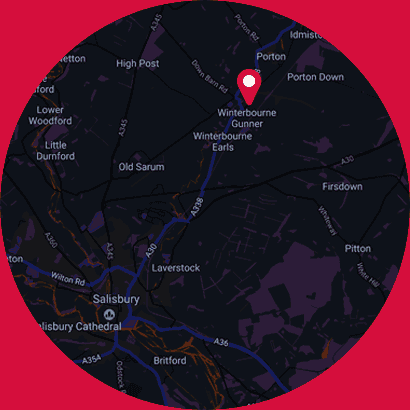 The HQ272PPB includes an industry leading 3year manufacturer warranty as standard and a highly affordable price tag of £219.